You scour Curbed and DVR every home improvement show on HGTV. Your lease may be up for renewal and you’re probably wondering, why am I paying $2000 or more a month? Expecting a 2nd bundle of joy and wondering where to fit her in your 2BR? Have you contracted the I-want-to-buy-a-house bug and don’t know what to do? Before you do anything — go to open houses, Redfin every house around you and even contact an awesome agent, the very first thing you have to do is pre-qualify for a home loan. If a house looks good and is priced well in a decent neighborhood, it’s going to fly off the market. If you’re not armed with a pre-approval, you can kiss goodbye that charming bungalow you saw last weekend. So how does it work? It’s as easy as a 15-minute phone call or an email with either of my two incredibly awesome lenders. If you don’t dilly dally and send them everything they need, you can get your pre-approval letter the same day, write an offer and schedule the movers. 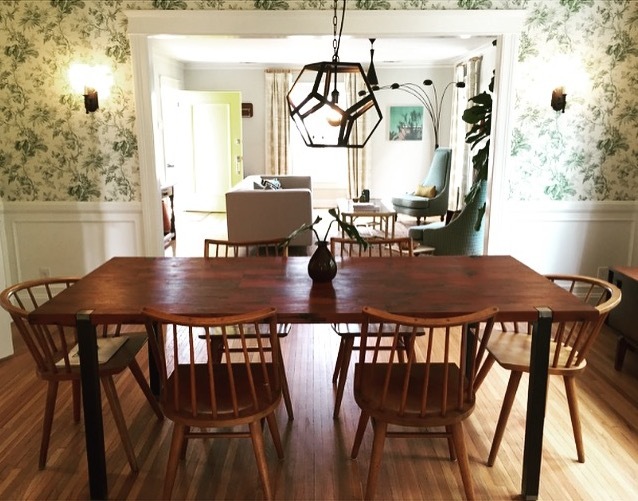 #GreatDesign at Highland Park's The Hunt VintageThe Great Debate: Dazzling Flip or Fixer Upper?